Our adventure started at 06:30 AM when we reached Mt. Manabu jump-off after some 2 hours of travel from Manila. 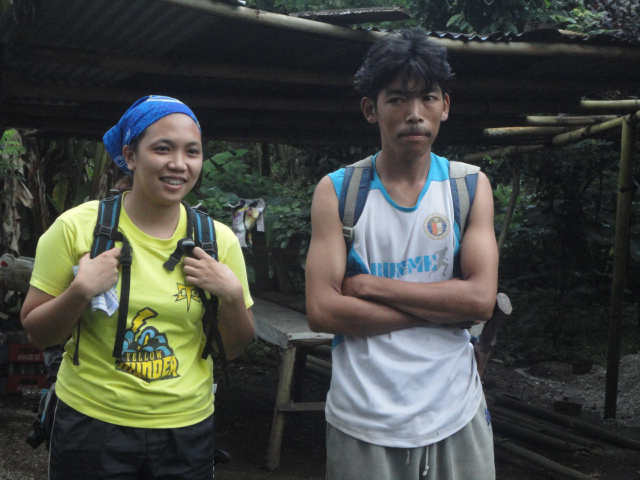 There, we met our cool guide, Kuya Mario, for this Malarayat Range Traverse day hike. nakuwento samin ni kuya Mario na minsan na niyang ginuide sa Malarayat Traverse si Seven Summiteer, Romi Garduce, astig! At 06:45 AM, the trek commenced. 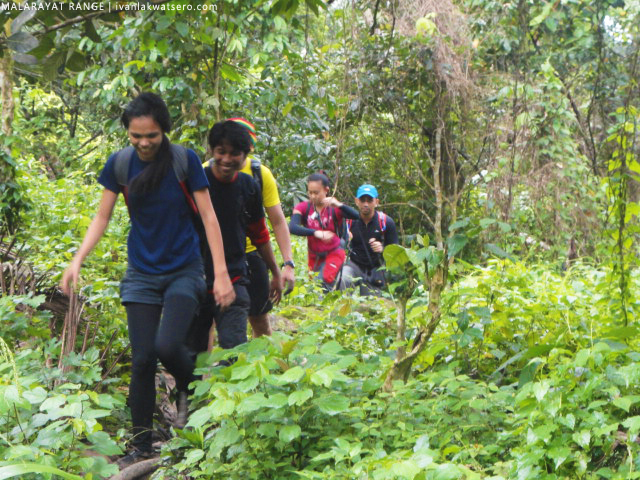 We took the grotto trail (medyo familiar pa ako sa trail, I had a Manabu hike just last February, read this link for that Manabu post) and reached the summit in about 2 hours. 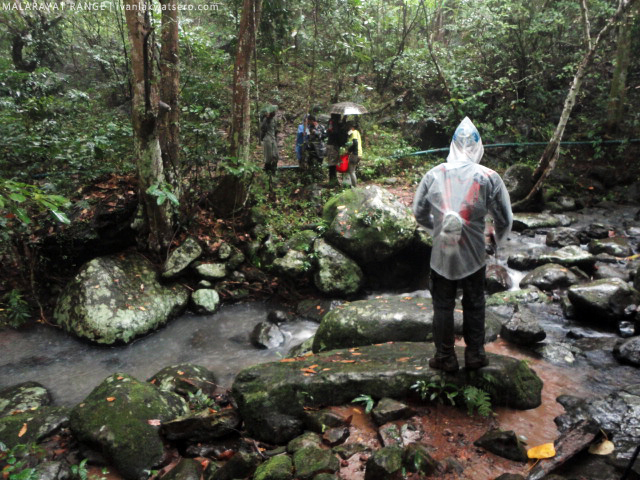 The trail was a bit too muddy from yesterday's heavy rain, but other than that, the hike was pretty much easy. Contrary to what we were expecting, the day was very clear, a very unexpected one since we know that typhoon Lawin is lurking somewhere east of Luzon. 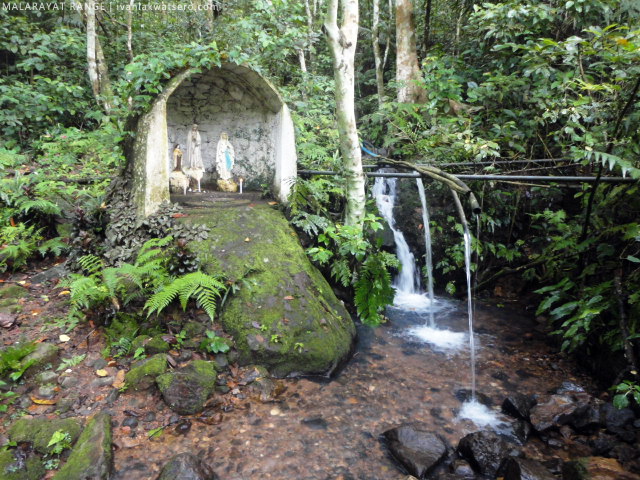 It's a blessing from above, it made us smile and happy all throughout the climb. 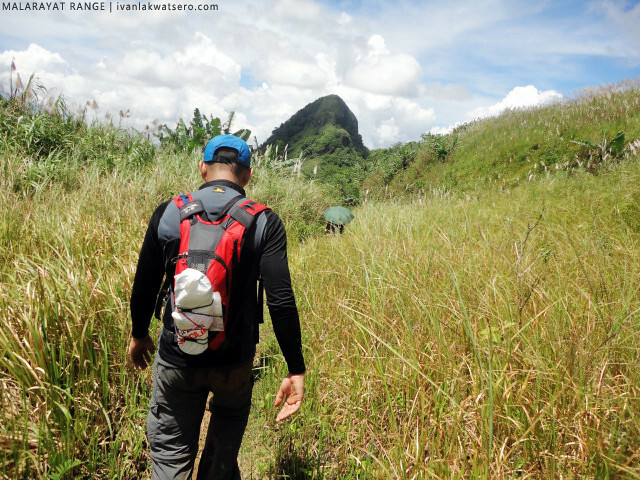 From Manabu Peak, we descended to the campsite then entered a dense trail that forks out from the main trail. 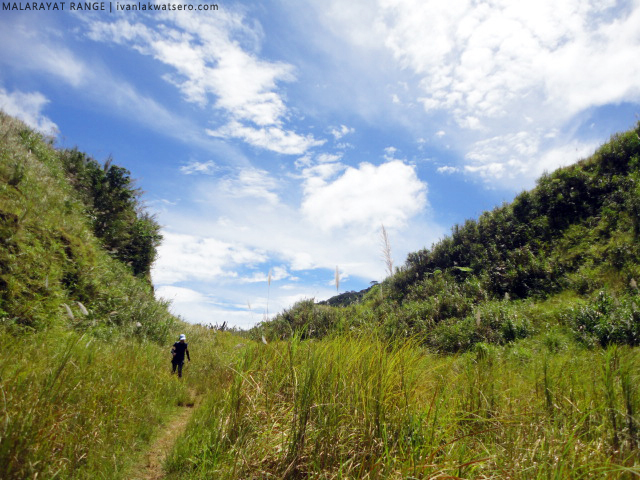 This overgrown trail then led us to an established trail which according to Kuya Mario is now part of Mt. 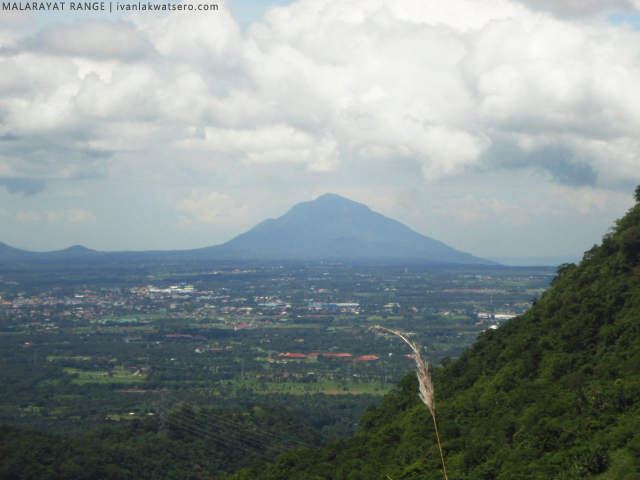 Maraduhan (a lesser known mountain of Malarayat Range). From that point, ferocious Teka-teka and Lipa plants became much more prevalent. The trail wasn't that difficult at all, the assaults were mostly gradual, and if it is steep it won't last long and there are plenty of branches and roots to cling on. 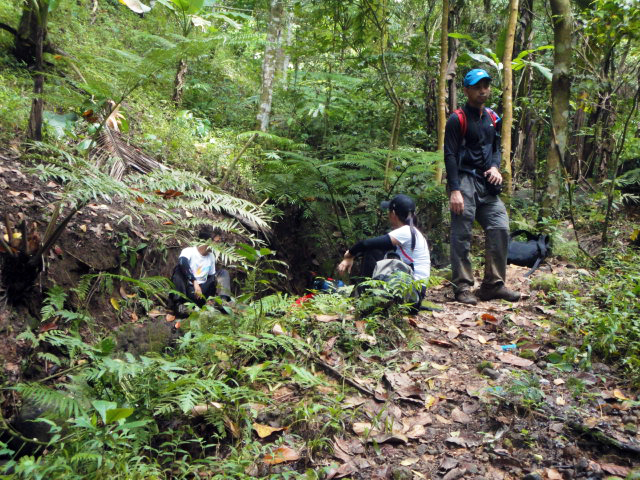 Perhaps the only challenge in this traverse is the high prevalence of Teka-teka and Lipa plants. By 10 AM, we reached the grassy trail of Mt. 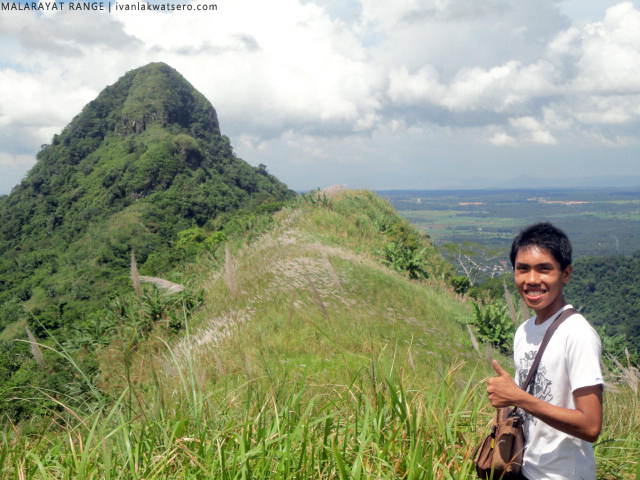 Balagbag (another lesser known mountain of Malarayat Range at kapangalan lang nung nasa Rizal). It's an open trail, trees are less in number (medyo mainit at hindi ko dala yung sumbrero ko, buti na lang meron ako payong kaya protektodo pa rin mula sa araw). We continued following the trail until it led us to the summit of Mt. 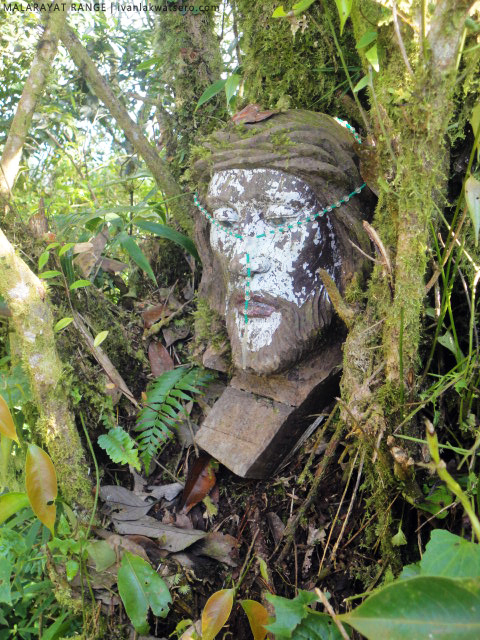 Biak-na-Bundok. Mt. 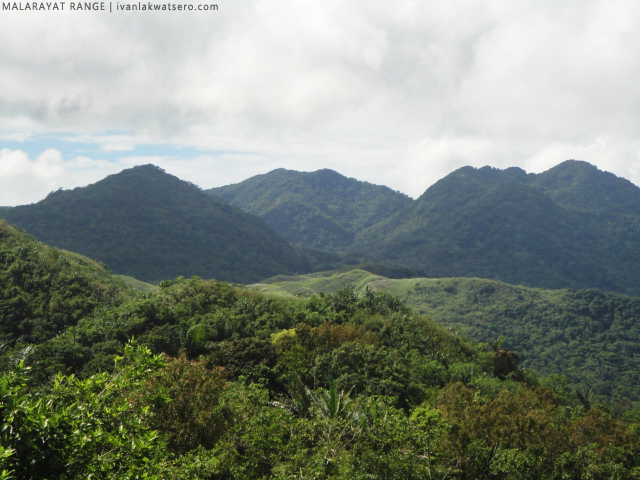 Biak-na-Bundok, as its name suggests, is indeed a mountain with a "biak na summit" and it is obviously not natural. According to our guide, Pres. 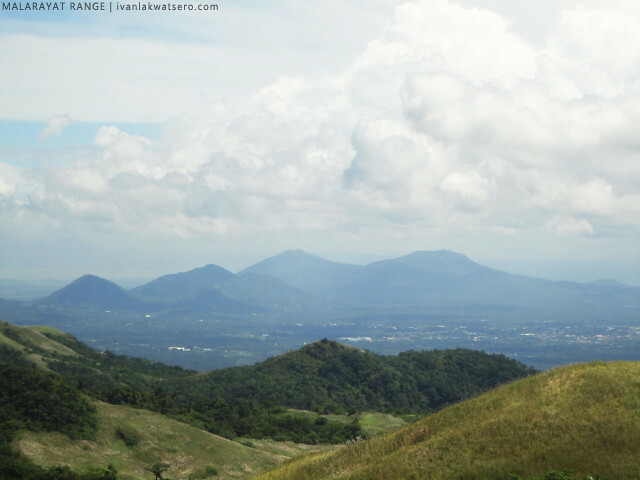 Marcos tried to create a highway from Lipa, Batangas to San Pablo, Laguna right across Malarayat Range. 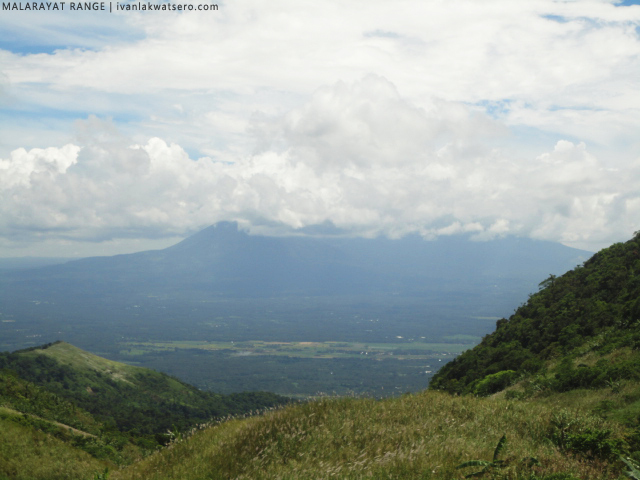 It was a major project that was later abandoned (kung bakit hindi tinuloy, hindi ko alam) and left that part of Malarayat Range partly bald. 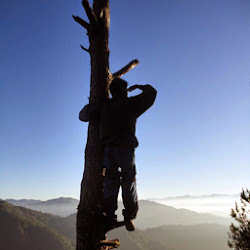 The treeless summit of Biak-na-Bundok is a very good vantage point to look at the nearby Southern Tagalog Mountains, the three prominent summits of Malarayat Range and the lakes of Laguna and Taal. It was almost lunchtime, Kuya Mario told us that we can have lunch at the next campsite 10 minutes away from Biak-na-Bundok. The campsite is wide (kasya siguro ang 5 tents) but it's not perfectly flat and clear, and there is a water source. We had our lunch there and stayed for an hour. After lunch, kuya Mario led us to his tree-house (or tri-house). 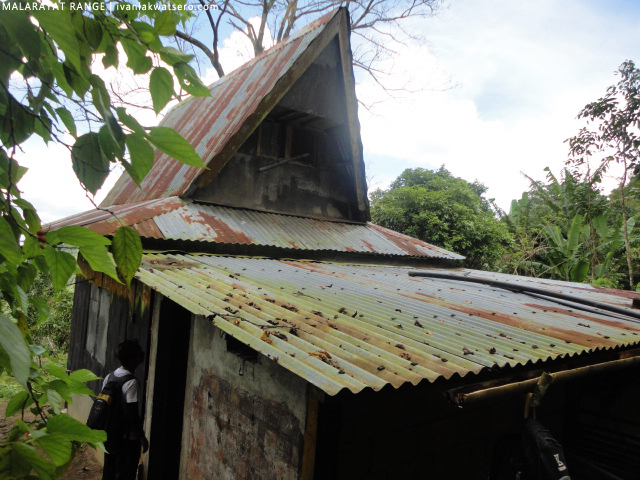 We became curious with this house kasi sabi ni kuya Mario maganda daw yung lugar na yun. But when we got there, wala naman special sa lugar. I really don't get it why kuya Mario calls his house a tree-house (or tri-house). When I asked him, sabi niya triangle daw kasi yung bubong, then I was like, "ah ok". Anyway, we spent 20 minutes at Kuya Mario's humble abode. 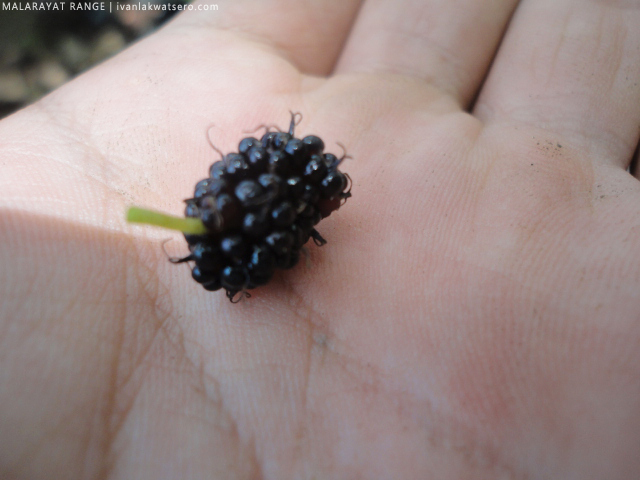 We rested there, some climbed up the tree beside the house and pick some black wild berries. Kuya Mario also let us taste his stock of Alamid Coffee. Cool talaga si Kuya Mario, game na game siya sa piktyuran at kwentuhan. From Kuya Mario's tree-house, we proceeded to Mt. Malipunyo. 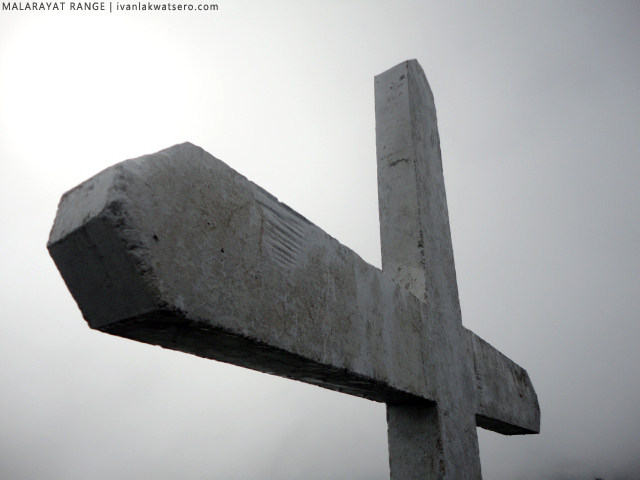 It took us 2 hours to reach its summit, passing through a stream and a slightly steep trail. 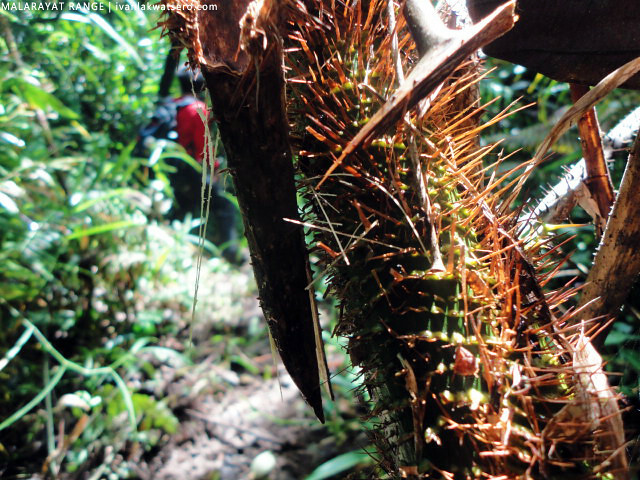 It was also on this leg of the trail that I got victimized by Lipa Plant (aarrgh! sobrang kati na masakit). Sa totoo lang hindi ko siya magawang kamutin kahit sobrang kati niya, dahil pag ginawa ko yun, parang kinakagat ako ng mga langgam sa sakit. Kuya Mario told us that gabi is the remedy for lipa itch (mag-lalaban daw kasi yung kati ng lipa at kati ng gabi - medyo hindi ako sure kung effective ito and I doubt it kaya mind over matter na lang muna). Lipa Plant (Laportea meyeniana) belongs to Family Urticaceae, a family of plants known for the presence of stinging hairs. This plant is notorious for its itchy defense mechanism. 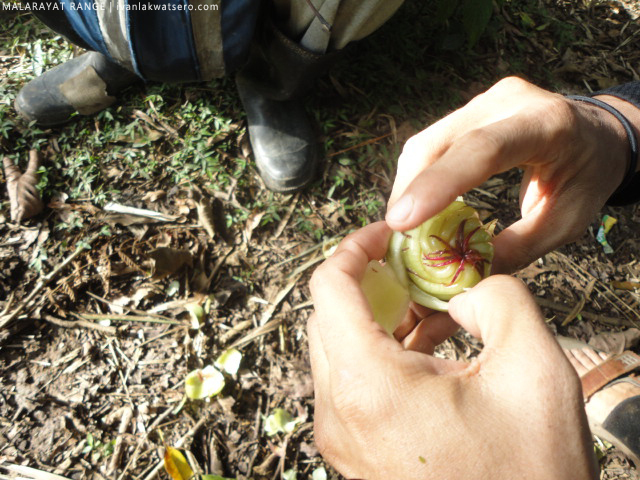 Anyone who gets in contact with its leaves will surely feel intense itch or skin irritation. This reaction is caused by the formic acid released by Lipa plant [take note that it's also this acid that ants (Family Formicidae) produce if they sting or bite]. 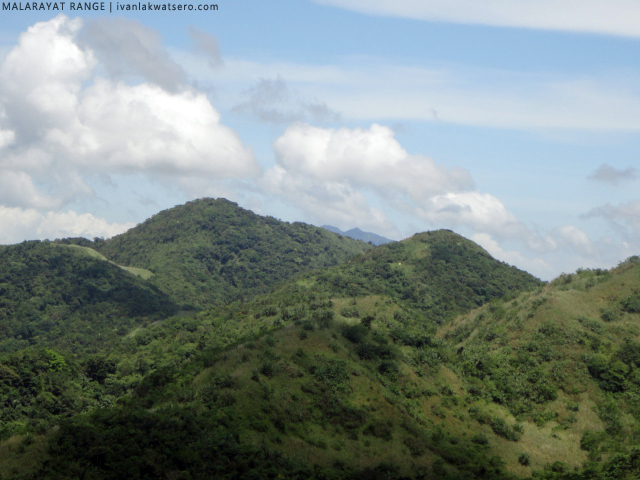 These plants usually thrive in low and medium altitudes (much like the mountains of Southern Tagalog). 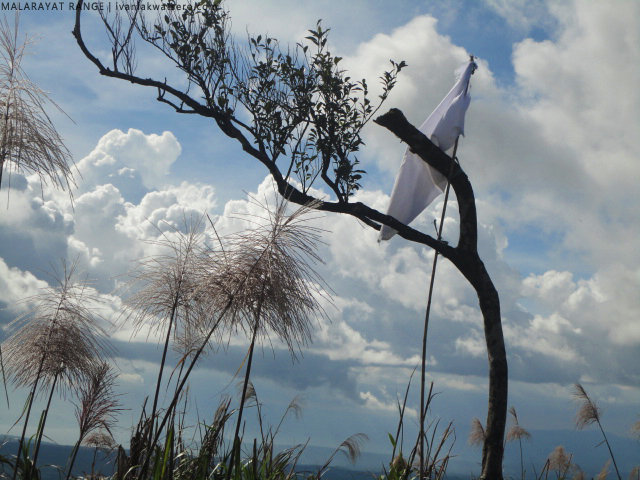 We reached Malipunyo peak at 02:45 PM. The weather was still very good at that time and we were able to see again the neighboring mountains. meron din ulo sa summit. We descended after 45 minutes. 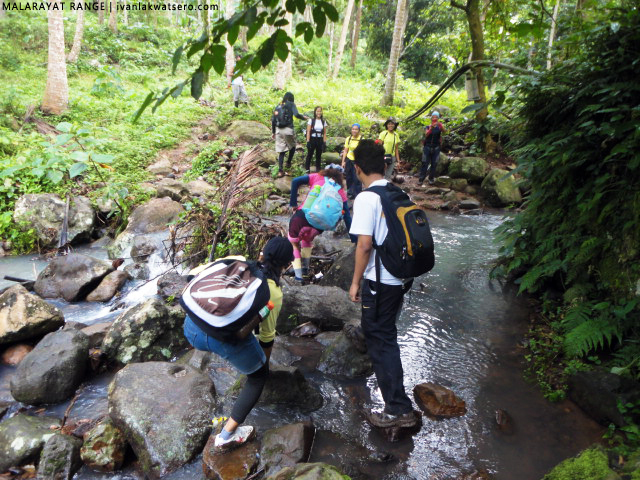 The descent to Brgy. 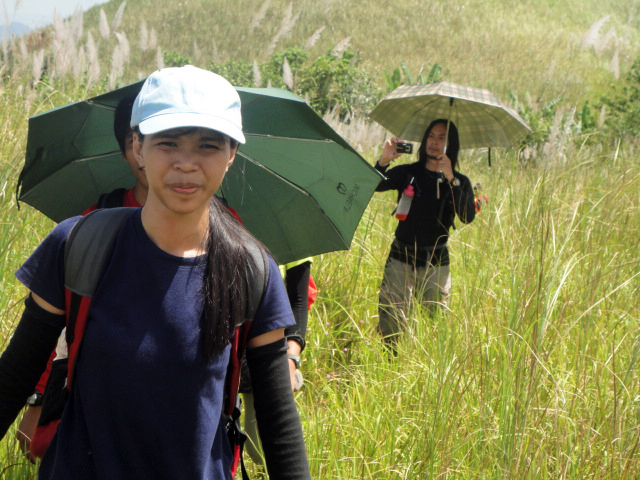 Talisay, Lipa City (our exit point for this Malarayat traverse) was quite a long continuous trek, mostly gradual, pero dahil bitin ako sa tulog, madali akong napagod. along the way, pinatikim kami ni Kuya Mario ng Catmon. It rained during the final leg of our trek. It was a heavy downpour but it did not last long. And by 05:45 PM, we reached the liguan station in Brgy. 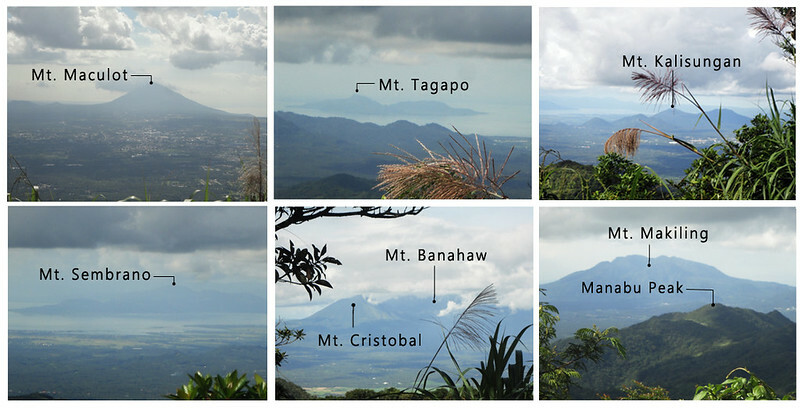 Talisay, the traverse was finally completed. 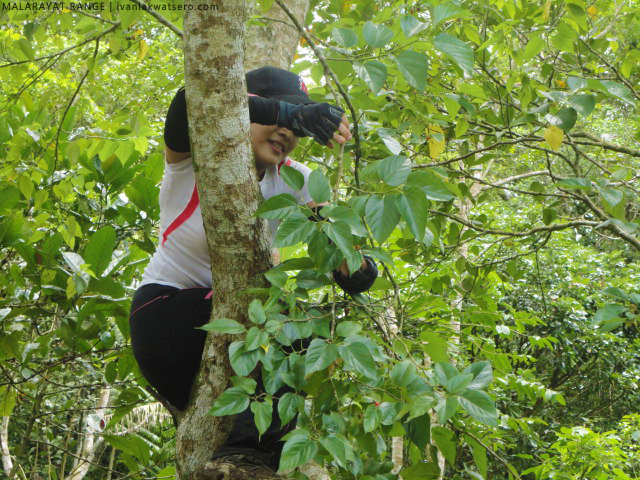 It was a successful climb and I personally enjoyed it a lot. Naunahan mo ako. Inggit ako. same shirt din ung suot ni mang mario nung nagpa-guide kami sa kanya! hahahaha! grabe nakakainggit! 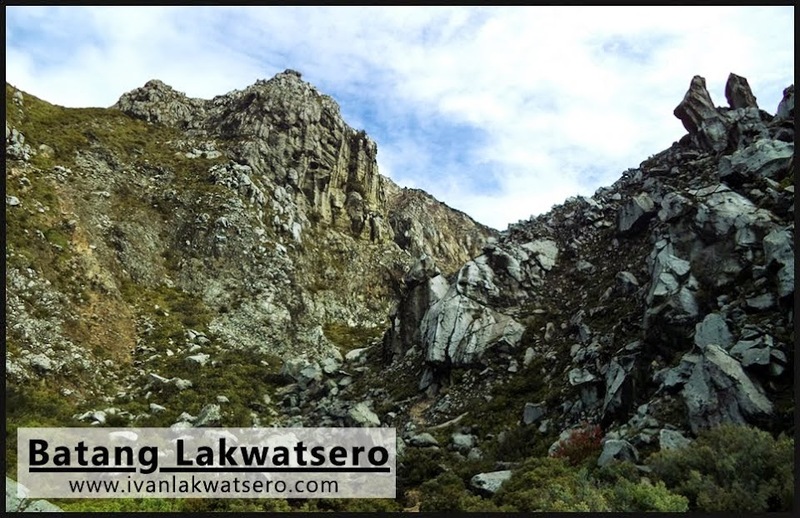 gusto kong ring maexperience na umakyat sa iba't ibang bundok.. so sad wala akong kasama..:( is there any way para makasama sa ganitong activity na kasama ung ibang travel bloggers? 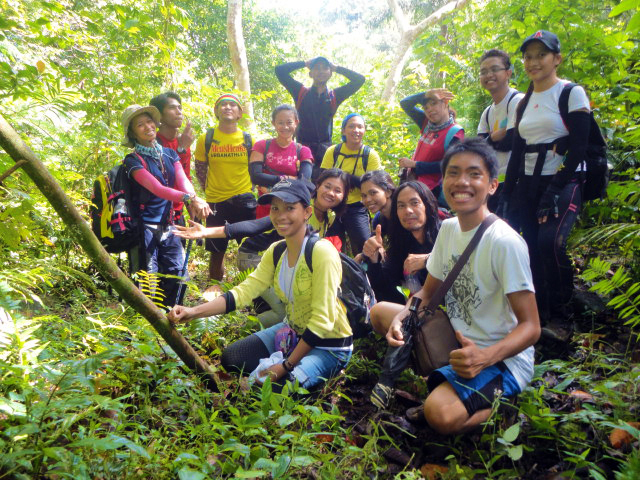 Finally after years of planning, natuloy din kami mag Malarayat traverse last weekend. Super worth it! Hi there, May contact number po ba si Mang Mario? Gusto po sana namin mag try sa Nov 9?